I just can’t make my right hand pose nicely. It’s all awkward or something. Anyway, the base for these nails is NYC – Royal Chic. I sort of think this is from a collection that was out not that long ago, so it might be a little hard to find now. The wet polish looks just like Hershey’s Syrup. I feel like this polish should smell like chocolate. 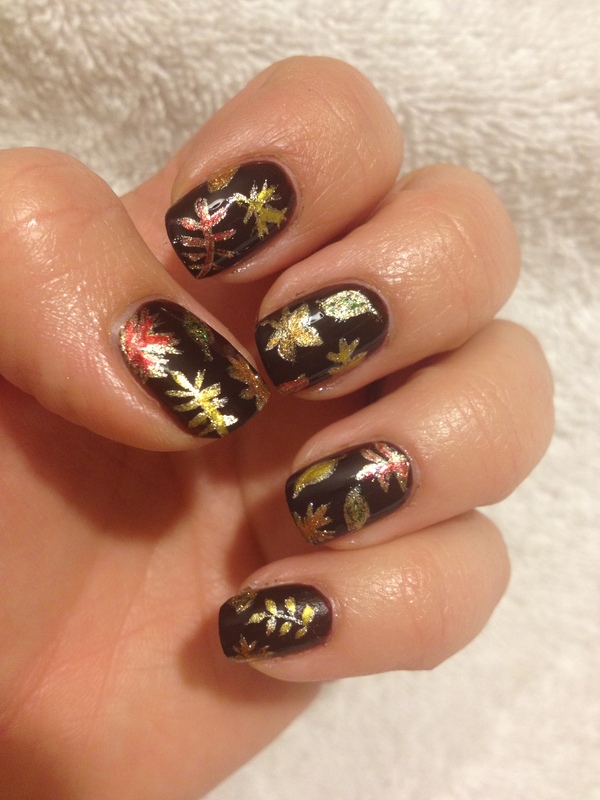 Then I added some leaves with Wet n WIld Fergie – Gold Album. Every time I use that polish I can’t believe how beautifully gold and sparkly it is. 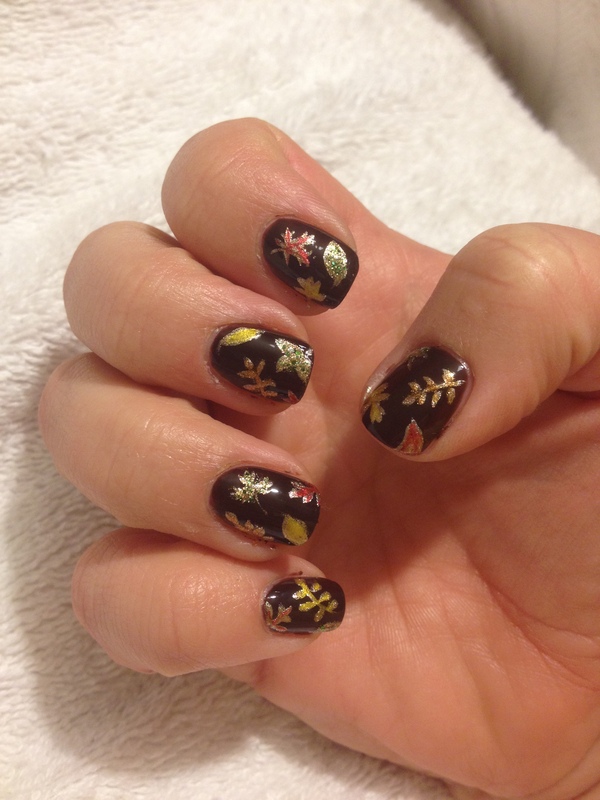 I was sort of tempted to just “leaf” my mani like that, but since I had already pulled all of my fall colored polishes off my rack, I decided to go ahead and add some color. I used polishes that tend to to be sheer so that the gold would show through. I just used a little brush and added a little bit of color to each leaf. I topped it off with a shiny top coat. After four days of wear, I had no major chips, just some tip wear. I touched up the tips of my nails with the brown polish and then for kicks I added a matte top coat. 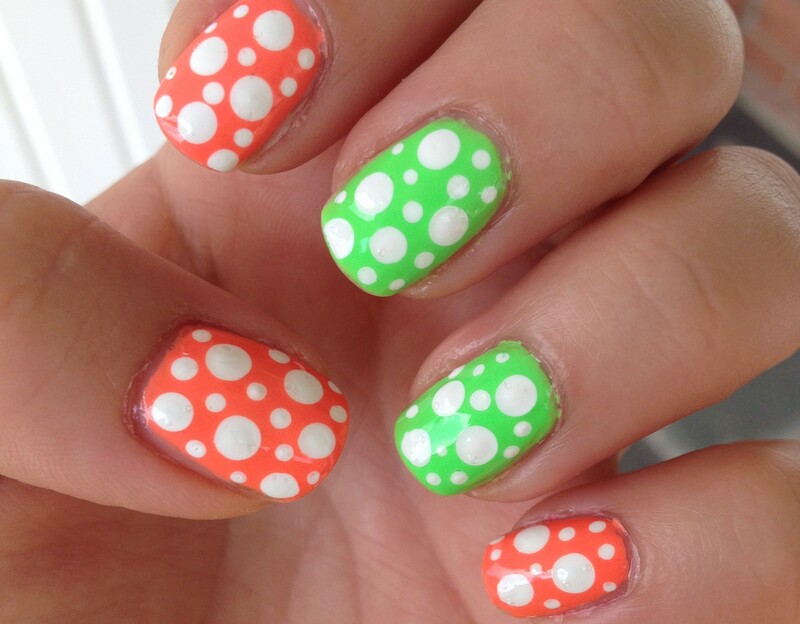 I really like how this looks with a matte top coat! 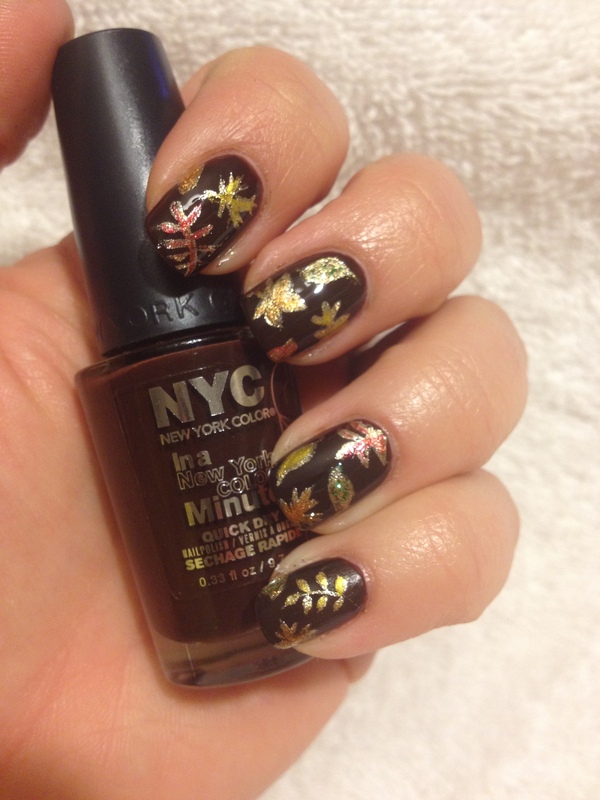 The metallic leaves just really pop off of the brown background! I think I’m going to get a full week’s wear out of these. Hooray for that! 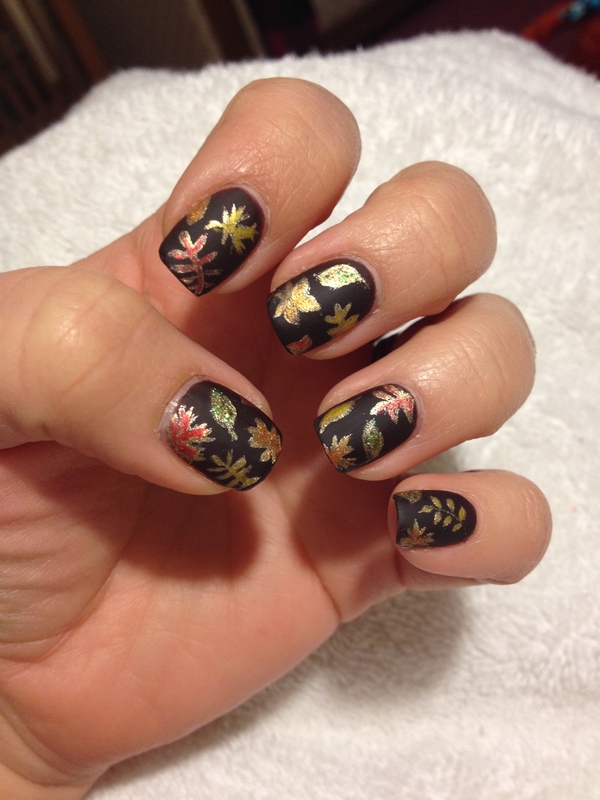 This entry was posted in Nails of the Day and tagged autumn nails, fall nails, leaf nail art, nail art, Nails of the Day, NOTD, nyc nail polish. Bookmark the permalink.